Haircut Project (changing styles with changing politics, cutting long hair shorter), Susan Ensley, 1976. 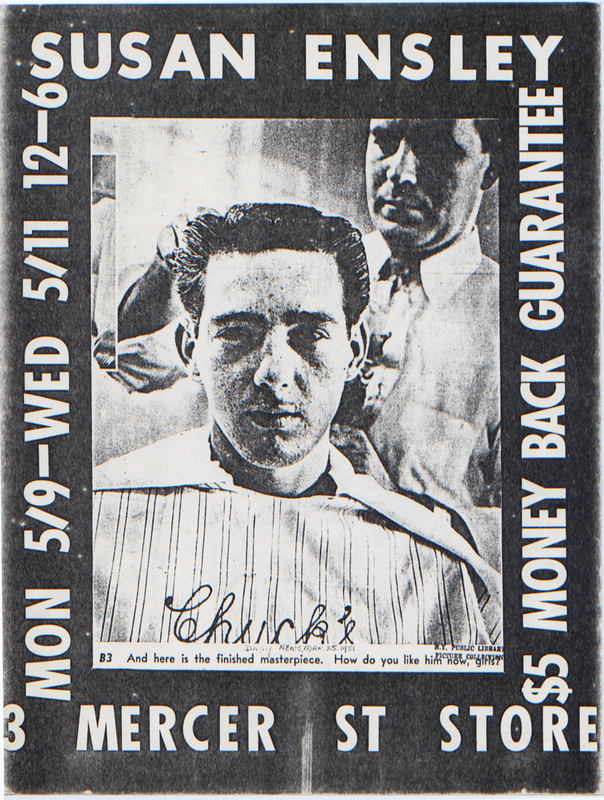 Poster for Money Back Guarantee at 3 Mercer St. Store. Offset on paper. 10 x 8 1/2 in. and 11 x 8 1/2 in.